« Olympus to release E-PL2 in the next 2 months? "The viewfinder magnification of 0.5 is generally considered the easiest to see in the case of a camera equipped with a lens with a 35mm focal length (135 equivalent) – not too low and not too high. 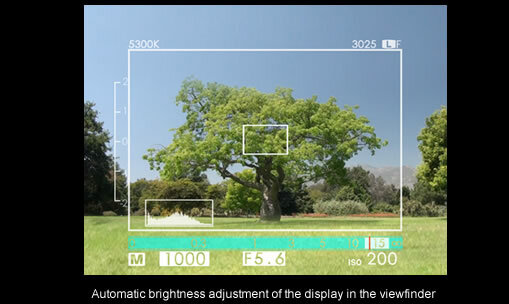 The X100 viewfinder has a high-resolution 1,440,000-dot, 0.47-inch LCD. 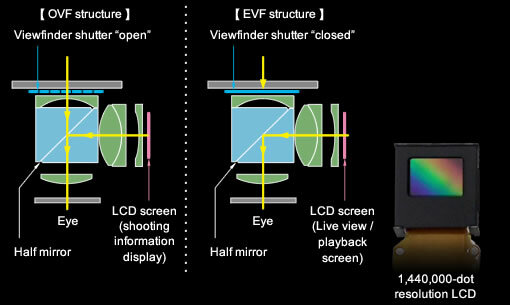 The View finder has a shutter too: because the frame is reflected through the prism, and the subject image is passed through the prism and delivered to the viewing eye, the blocking of light from the originating subject image side would enable the use of the LCD image as an EVF (electronic viewfinder) with 100% coverage. In order to achieve this, a 'Finder Shutter' is necessary."